Getting married at the TerWorm Castle means you will be getting married in an extraordinary location! The long drive way, the beautiful estate, the idyllic castle and the romantic flowering rococo garden provide the backdrop for your wedding day. "I do" will be said to one another at the Orangery, located in the Rococo garden. Our professional team will be at your disposal at the castle. A champagne toast with bridal cake, comprehensive dinner, overnight stay in one of our suites and delicious breakfast the next morning.... all you have to do is choose, we will take care of the rest! Familiar hospitality, paired with culinary delights are of major importance to us at the TerWorm Castle. 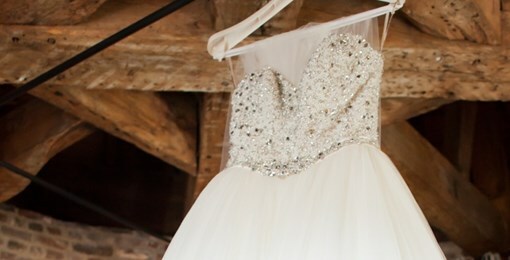 Whether civil wedding procedures or a wedding that covers all imaginable aspects: we say "yes"! The Orangery is located at the castle's Rococo garden and an official wedding location within the Heerlen municipality. We will gladly sit down with you and put together a festive wedding programme at the Castle, after the wedding ceremony has come to an end. Champagne & a bridal cake, delicious dinner and much more can be arranged. Surprise your guests with our outstanding hospitality and the excellent TerWorm cuisine. From the moment you enter the courtyard through the castle gate to a festive evening program, our spontaneous team is ready to give you an unforgettable wedding day. The Yes-word will be given to each other in the Orangery, located in the Rococo garden. Our spontaneous team is at your disposal in the castle. A champagne toast with a wedding cake, an extensive dinner, staying in one of our luxurious suites and finally having a delicious breakfast ... You only have to choose, we do the rest! At Kasteel TerWorm we provide wedding programs for intimate groups of up to 40 people. 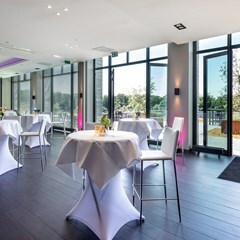 If you would like to end your wedding day with a musical party for a large group, Van der Valk Hotel Heerlen (500 meters away) is the ideal party location. Tip: transport your guests in style with horse and courage! Romantic stay in luxury! Do you opt for the golden legs bathtub, the romantic tower seat overlooking the garden or the four-poster bed in the ridge of the tower?